Long rows of cotton plants grow up through the red-earthed farm in Lawrence County, Alabama, where, decades ago, Anna Yeager Brakefield’s ’12 grandfather moved his six children in order to teach them the values of hard work. 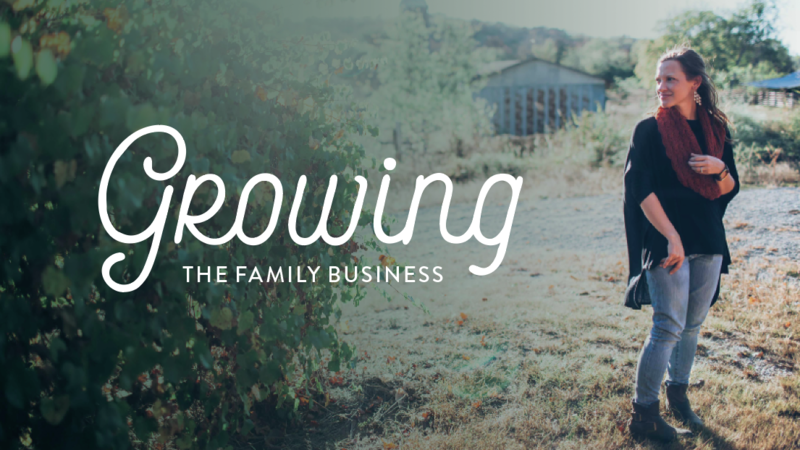 What started as a hobby farm with a few hundred acres now numbers in the thousands thanks to the work ethic and business sense of Brakefield’s father, Mark Yeager, and is now home to the father and daughter duo’s business Red Land Cotton. When it came time to go to college, Yeager wanted Brakefield to go to the University of Alabama, but, after visiting their campus and then comparing it to Auburn’s, her mind was made up. Yeager reluctantly agreed. One of Yeager’s expectations for his daughter was that she would major in agriculture and return to North Alabama to help her family’s farm. Once again, Brakefield had a different future in mind for herself. After taking an agriculture class and making one of her worst grades ever, she decided to change course and applied to the graphic design program. Once again, Yeager supported his daughter, albeit reluctantly. “Until we started working together a couple of years ago, I don’t think he [Yeager] had a single clue what graphic design was, or how it applied to the real world, or how anybody would make money doing it,” Brakefield said. Despite what her father may have initially thought about graphic design, Brakefield was able to find a job soon after graduating from Auburn in 2012 with Kirshenbaum Bond Senecal + Partners, an advertising firm based in New York, where she worked for around two years on big name accounts like BMW and American Express, as well as a campaign for rapper Jay Z’s cologne. Then, after getting married to her college sweetheart and moving to Nashville, Tennessee, Yeager approached his daughter during the holidays in 2015 with the idea for Red Land Cotton, a family business that would oversee not just the growth and harvest of raw cotton, but manufacture finished home goods like bed sheets and towels. Every step of the process would be done within the United States. Brakefield said that her father came up with the idea when he posted a photo of his cotton onto Instagram (which he’s come to be an active user on over the years) and his sister commented on his photo, wishing that her bed sheets were made from cotton like his. 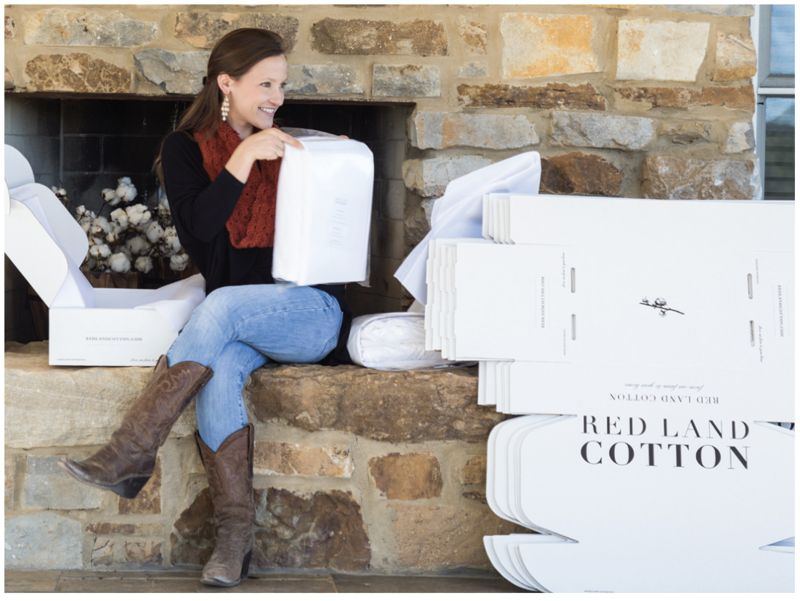 As a co-founder of Red Land Cotton, Brakefield oversees the company’s sales, marketing and product development, while her two brothers help her father with the farming side of the business. Brakefield said founding a business has had its share of challenges to overcome. Because they want to keep their product grown and manufactured in America, they must deal with the consequences of a global economy and outsourcing, which includes the closing of certain businesses they might rely on within their supply chain. Despite the difficulties, Brakefield said that business has been good since Red Land Cotton’s founding and that they’re considering expanding their product to include goods like pillows and comforters. In 2018 they started selling quilts. Founding a business has taught her to never take no for an answer, because there’s always a solution and a way to work something out, Brakefield said.